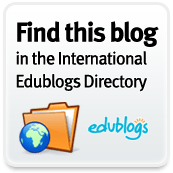 A blog for educators, researchers and other thinkers by Sarah Elaine Eaton, Ph.D. There are moments that mark our careers, our lives and our memories. Yesterday I had a very special moment, surrounded by friends, colleagues and mentors. In the company of about 20 or so other winners of awards presented by the Werklund School of Education, I was honoured and humbled to receive the 2014-2015 Teaching Excellence Award. I know there were some pretty special people working behind the scenes who made this happen and some pretty phenomenal former students wrote letters of support to the selection committee. Moments like these don’t happen very often. We enjoy them, savouring the opportunity to share with those around us who make the work worthwhile and bring joy to our professional practice. That happened yesterday. Today it is back to work, connecting with students at the beginning of another busy fall semester. I’m thrilled to be teaching two groups of Master’s of Education students this semester. They really do keep me inspired on a daily basis. If you enjoyed this post, please “like” it or share it on social media. Thanks! This blog has had over 1.8 million views thanks to readers like you. If you enjoyed this post, please “like” it or share it on social media. Thanks! Sarah Elaine Eaton is a faculty member in the Werklund School of Education, University of Calgary, Canada. Posted by Sarah Elaine Eaton, Ph.D.
You are currently browsing the Learning, Teaching and Leadership blog archives for September, 2015. Dr. Sarah Elaine Eaton is an educational leader, researcher, author and professional speaker.